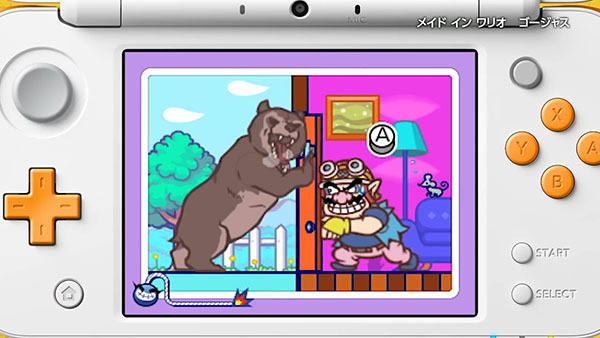 During the 3DS’ considerable lifespan, one franchise has remained conspicuously absent from the system: WarioWare. This series hasn’t seen a main-series release since 2006‘s Smooth Moves. There have been a few “sort-of” entries like WarioWare: Snapped! on the DSi and Game and Wario on the Wii U, but nothing quite like a full-scale WarioWare game. 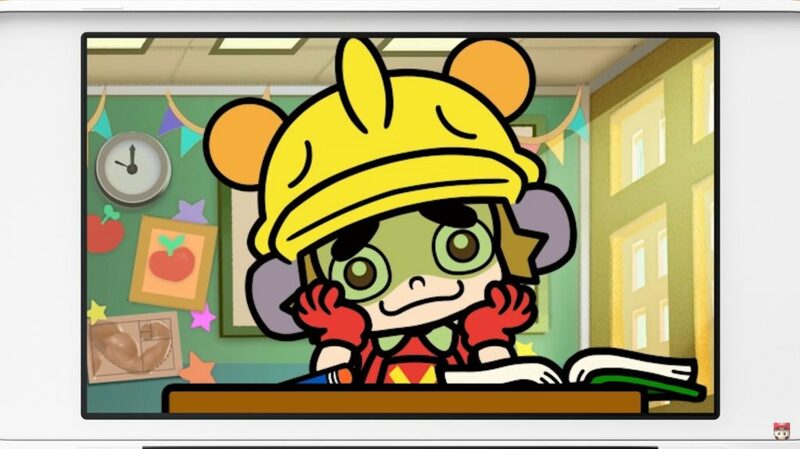 Thankfully, the wishes of fans across the globe wanting the series to return have been answered with the release of WarioWare Gold. Luckily, this one was worth the wait. We can now happily return to the anything-goes world of Wario and the endearing residents of Diamond City. For those unfamiliar, the core gameplay of WarioWare relies on the playing of a series of short, randomized, 5-second microgames that increase in speed and difficulty until all 4 of the player’s lives have been lost. A life is lost whenever a microgame is failed, and a life is gained upon the successful completion of each infrequent boss stage. There wasn’t anything like it when it debuted in 2002, and there still isn’t much like it to be found today. It’s a completely unique game series, and WarioWare revels in this fact. It is frequently silly and strange, and never lets up on this tone for a moment. And we wouldn’t have it any other way. This particular entry is a compilation of past microgames and characters from the series, along with a handful of new ones. Games of series’ past each had a gimmick; be it the system-tilting of Twisted, the motion control of Smooth Moves, or the touch screen and microphone additions in Touched!, we’ve seen these microgames take on many forms as they are hosted on different hardware. Thanks to the multifaceted functions on the 3DS, microgames of all these varieties show up in Gold. There is absolutely no shortage of content here, and there’s enough to keep players entertained for hours and hours. Of course, the microgames themselves are still a blast to play. The music and visuals remain as varied and insane as the gameplay, which is to say they are top-notch and are bursting with personality. The presentation of this game is really something to behold. One of the best new additions that Gold throws into the mix is the utilization of missions, where players will find a gigantic list of major and minor accomplishments that can complete as they play. These missions range in difficulty from achievements that will automatically be completed by simply playing through the campaign, to others that will require doing a very specific, challenging task in order to complete. What makes the addition of missions so successful is the fact that they keep an incentive for the player to continue playing on in a game that relies heavily on repetition. The WarioWare games have always been about replayability and getting high scores, so the addition of recognition for various small tasks within the game adds another reason for players to keep coming back. It’s essentially a large achievement system, with in-game money that can be spent on the Capsule Machine as a reward for completing each one. Capsules unlock all sorts of bonuses, from collectible cards to delightful minigames. Another new addition is the inclusion of voice acting within the cutscenes that play before and after the introduction of a new stage. It’s fair that one may be skeptical when first hearing of this because mainline Nintendo games have generally remained voice-free, opting instead for little voice sound effects. Luckily, all fears of sub-par performances are quelled by Gold’s perfectly characterized voice cast. The world of WarioWare is home to a wide variety of wacky characters, and the voice talent performing each role simply nails it. Bravo to every one of them. The cutscenes in this series have always been very entertaining, but the addition of voices gives a Saturday morning cartoon feel to each scene presented, and watching each cinematic is always a joy because of it. For all it does well, Gold does have a few aspects that could have been improved upon. It is rather disappointing that the idiosyncrasies of the 3DS hardware itself are not utilized, most obviously with the lack of the ability to play the game in 3D, rendering the game an entirely 2D experience. Of course, this isn’t a game-breaker by a long shot, but it would have been nice to have the option nonetheless. The game also lacks any sort of online support. 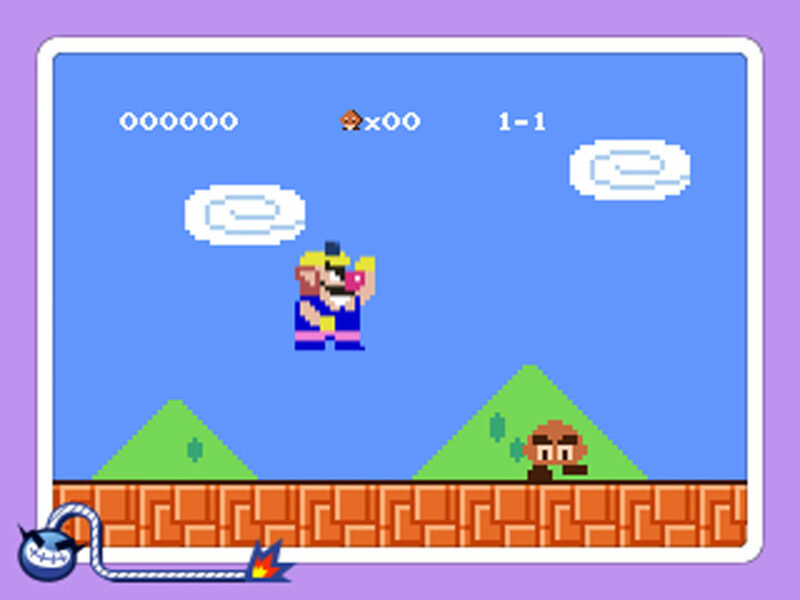 I can’t help but feel that this is somewhat of a missed opportunity, given the success of online integration with 2010’s WarioWare D.I.Y., where players could create their own microgames and upload them to the internet via Nintendo WiFi connection, as well as play the creations of others. It would have been fun to see some sort of similar online component thrown into the mix with Gold. In general, there is somewhat a sense of lost potential when it comes to this game, because it does so much so well, but rarely adds anything truly new or different from what we’ve come to expect from a gameplay standpoint. If you’re looking for a new, exciting method of playing microgames in the way there has been in past titles, you simply won’t find it here. Fortunately, these complaints are relatively minuscule compared to the grand amount that the game does so well. There really is something for everyone here, as it achieves the difficult balance of appealing to anyone, both young and old. It shows us that there is indeed room for the quirky and lighthearted within the gaming sphere. It’s an incredibly unique game that offers a fast-paced, hilarious experience of the kind you would be hard-pressed to find anywhere else. While it doesn’t take the series in any brave new directions or experiment with a well-established formula, it still offers a wide variety of incredibly fun microgames and delivers plenty of little surprises with its huge amount of bonus content. There’s a lot to love here, making WarioWare Gold an excellent, and perhaps definitive, addition to the series.